SAN DIEGO — In the main room of a onetime fraternity house at the edge of San Diego State University, a small group of students labors quietly, laser-focused, over textbooks and laptops. This is the Veterans House, its door propped open by a spent artillery shell. It’s where some of the more than 800 military veterans enrolled here study between classes as a flat screen TV broadcasts SportsCenter with the volume muted, or help each other out with particularly challenging assignments. 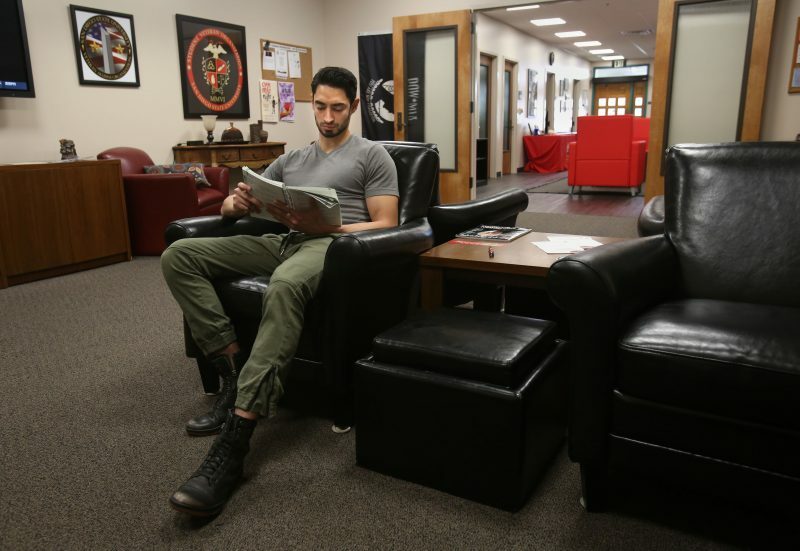 At the heart of the campus is yet another lounge for student veterans. 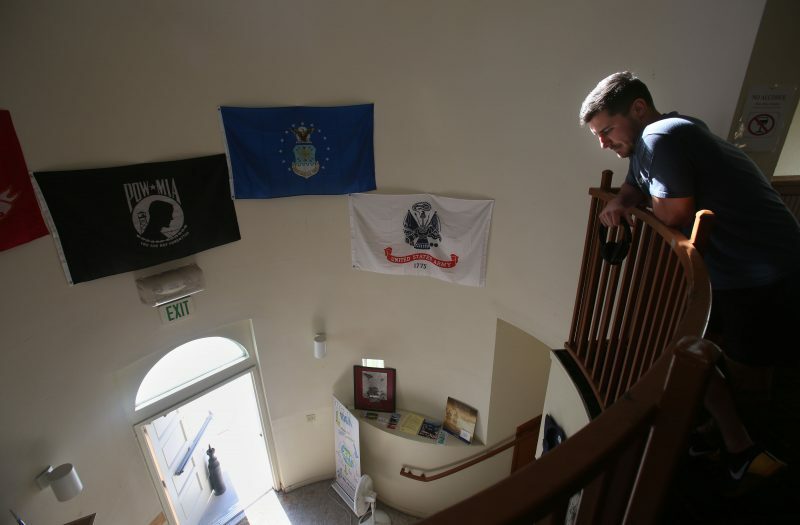 Called the Bunker and draped with camouflage and decorated with service symbols and insignia and vintage recruiting posters, it’s inside the Veterans Center, a warren of offices filled with advisors and counselors — most military veterans themselves — who cut through paperwork and other potentially career-ending distractions. This level of support helps more than three-quarters of the veterans at San Diego State to graduate within four years, the university reports, nearly double the national average. That’s in spite of extra challenges confronting student veterans, who are usually older than traditional-aged students and more likely to be juggling college with families, jobs and service-related disabilities, and who often face significantly more red tape. Many colleges and universities that eagerly recruit military veterans and the $10.2 billion a year in GI Bill benefits that come with them offer nowhere near as much support, and their student veterans rarely get degrees, according to data obtained from the Departments of Defense, Education and Veterans Affairs. The odds of a GI Bill recipient graduating from San Diego Mesa College, just eight miles away, for example, are one in 100, these most recent available data reveal. Even that’s better than the graduation rates at nearly a third of the 20 two-year schools that enrolled at least 100 veterans receiving GI Bill benefits and eligible for degrees, but where none of them got one. They’re public community colleges at which student veterans’ educations are subsidized not once, but twice, by taxpayers: through support of the colleges directly, and with those billions in GI Bill money. As for how student veterans using the GI Bill do at four-year universities nationwide, there’s no official way to know. Nearly a decade after the start of the Post-9/11 GI Bill — which has so far cost $73 billion, according to the VA — those institutions have forestalled attempts to make them tell the government how many of the taxpayer-subsidized student veterans they enroll actually ever get degrees, repeatedly asking for, and getting, more time to gather graduation data. Among community colleges, a Hechinger Report review of the federal data suggests, an average of only 15 percent of full-time students receiving GI Bill money graduated with a two-year degree in 2014, the most recent period for which the figure is available. That includes those who took three years to do it — a particular problem for the other 85 percent, considering GI Bill benefits cover a maximum of 36 cumulative months in college, which should be enough for a bachelor’s degree but leaves little margin for error. The proportion attending part-time that graduated within three years was 7 percent. The national average three-year community college graduation rates for full-time and part-time students are 23 percent and 12 percent, respectively, the independent National Student Clearinghouse reports. 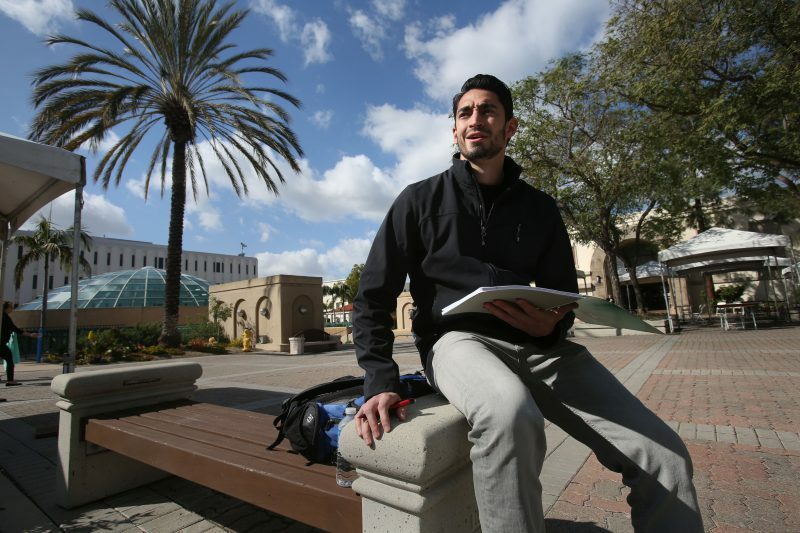 San Diego State University has a solid track record for graduate its veteran students. There are several reasons why things are working for them. At those 20 institutions with 100 or more GI Bill recipients eligible to finish in 2014, the government data disclose, even the ones with the highest veteran success rates managed to graduate only one in five. In all but one case — Trident Community College in Charleston — veterans graduated at much lower rates than other students. At community colleges with 100 or more GI Bill recipients, even the top performers managed to graduate only one in five, federal records show. The findings “demonstrate more can be done to support the needs of these non-traditional students,” said Barrett Bogue, spokesman for the advocacy organization Student Veterans of America. Things do not appear to be improving. The proportion of both part-time and full-time veteran students who enroll in college and then return for a second year is falling, the data show; for students overall, it’s been slowly rising. The proportion who transfer has remained flat at around 43 percent. Four years after the Department of Veterans Affairs was ordered by frustrated members of Congress to provide veterans with “streamlined tools to compare educational institutions using key measures of affordability and value” at all universities and colleges, a spokesman said that the department still doesn’t have a target date for doing that. Some universities with significant veteran support and high levels of success, such as San Diego and Florida State universities, voluntarily divulge their student veterans’ graduation rates, though often in ways that make them hard to compare directly. San Diego State reports that 76 percent of its student veterans finish within four years, for instance, while Florida State says 81 percent of its veterans earn their degrees within six. And San Diego State’s figures go through 2012, while Florida State’s cover the period through 2015. 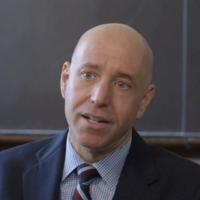 In the absence of official national success rates, Student Veterans of America produced one in February in collaboration with the National Student Clearinghouse, the Institute for Veterans and Military Families at Syracuse University and the Military Family Research Institute at Purdue University. Advocates and student veterans themselves say the fact that they do even slightly better than their classmates nationally, on average, attests to their discipline, maturity and drive to balance college with financial, family and work commitments, service-related disabilities and the confounding rules and regulations governing not only military education benefits, but medical ones. Painter, the former gunner’s mate who is now a business major and hopes to someday work for the San Diego Padres, said he didn’t worry much about those things. 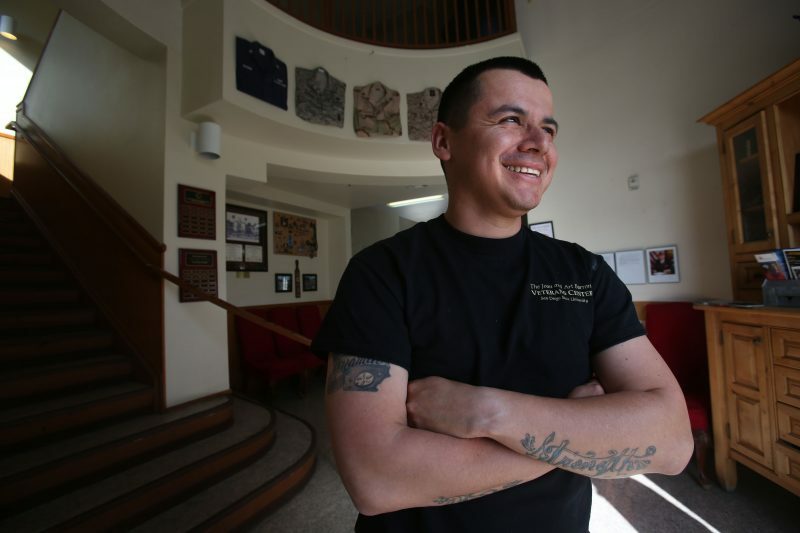 He spared only a passing glance at the Veterans Center when he first arrived at San Diego State, he said, not sure why he’d ever need it — until he started classes and ran up against GI Bill paperwork requirements and other challenges. While more than half of veterans in a survey by the Institute for Veterans and Military Families at Syracuse University said they signed up for military service for the education benefits, 60 percent complained that the complexity of VA programs hampered their attempts to stay in school or graduate, 56 percent that they had inadequate financial resources to stay in college even with GI Bill help and 28 percent that their family obligations created a conflict. Veterans who have suffered trauma in particular have trouble adjusting to campus life and have difficulty sleeping and concentrating, new research conducted at community colleges by investigators from the universities of Arkansas and California, Riverside found. They said this puts student veterans at higher risk for dropping out of institutions that fail to provide them with support. “You go back to college and all that structure goes away,” said Cody Vanderpool, 25, a Marine Corps veteran and mechanical engineering major at Florida State. “People think that’s all you’re going to need,” said Vanderpool. But he spent up to 55 hours a week tending bar, tech advising and working construction to make ends meet, on top of taking a full load of classes. Curt Aasen, director of institutional effectiveness at Tidewater Community College, whose three-year graduation rate for GI Bill recipients is 7 percent, said colleges like his are penalized because student veterans aren’t counted if they run out of GI Bill money before they earn degrees, among other reasons. He said nearly 60 percent of Tidewater’s student veterans transfer with the intention of finishing somewhere else, with or without having obtained associate’s degrees or other credentials. Most other community colleges with low student veteran success rates did not respond when asked to comment. Those that did said the numbers — which they report directly to the government themselves — were wrong, or that they improve when other veterans not receiving GI Bill money are included, or that what Aasen called the VA’s “intricate” requirements make them look worse than they are. Many also said that veterans often transfer without degrees, and may finish somewhere else, though this is not yet tracked. The amount of help provided veterans by colleges that take their money also varies wildly. The difference in effort often comes down to such things as policies that tie state budget allocations to graduation rates, or understanding that building a reputation for helping veterans can attract more of them at a time of declining enrollment. 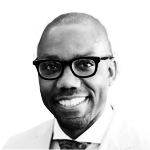 But whether or not a university provides support is also driven by intangibles such as a campus’s location or leadership. 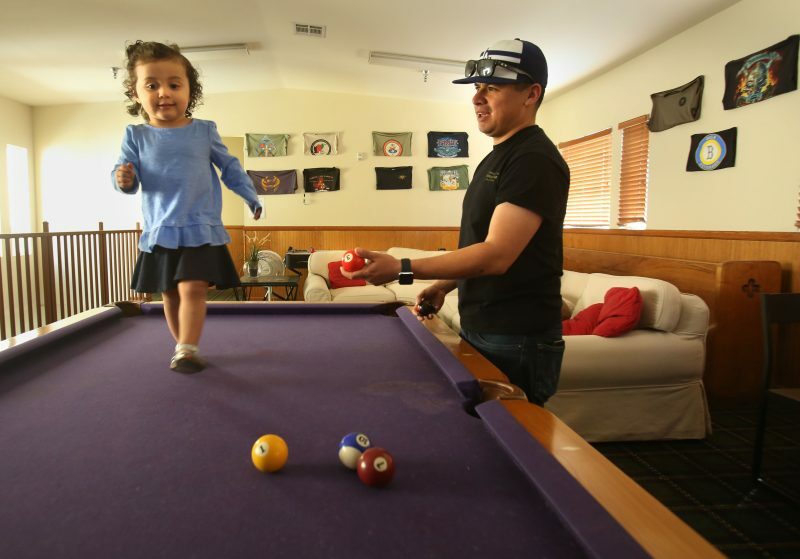 A former Army intelligence analyst hanging out on an afternoon in the two-story Veterans House, which also has a game room, a laundry and a cookout area, Sanchez, 28 and the father of a two-year-old, is scheduled to graduate in May — and then go back into the Army as a second lieutenant. He said he was impressed to be invited once to speak with faculty about even the way they communicate with veterans.